#1 All minkie. 50" x 50"
#2 Vintage kitchen prints. 60" x 60"
Cute picot point border detail. 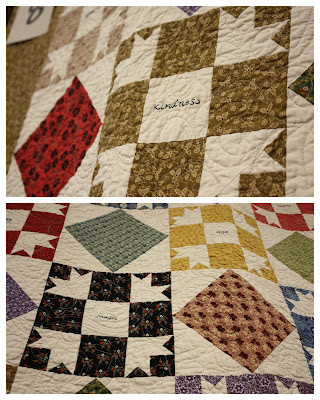 Beautiful hand stitching of different 'blessings and virtues' inside blocks. All reproduction fabrics. Amazing machine quilting design. 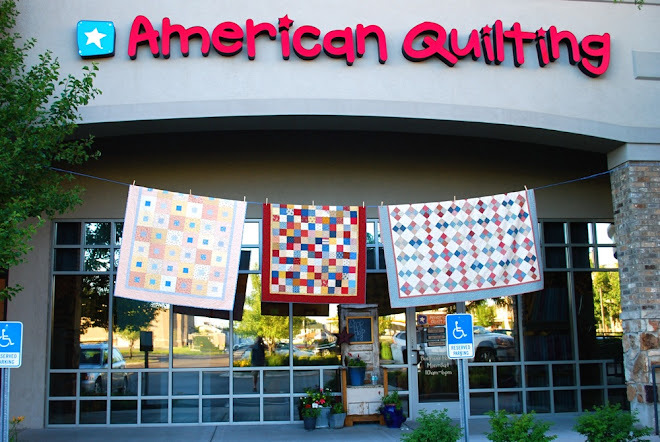 To bid either visit or call American Quilting 801-802-7841. Auction ends Saturday at 6:00 pm (MST). New quilts will be hung next Monday. Pictures posted here next Tuesday. Donations are also accepted at the store or to the Paul Peterson Cancer Fund at Mountain America Credit Union. A huge thank you to many of you for bidding and giving so generously.